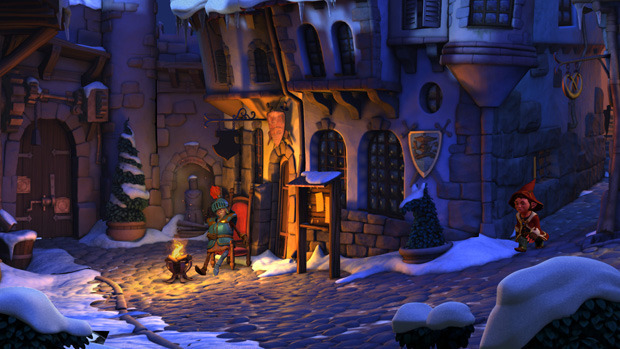 The Book of Unwritten Tales 2 publisher Nordic Games has confirmed that the sequel to KING Art’s adventure game will release early 2015. Over on The Book of Unwritten Tales 2 Kickstarter page, KING Art is looking for $65,000 and at the time of writing has amassed $2,360 with 39 days to go. The game is already funded but the money will go towards additional polish and content. The studio promises hundreds of weird but logical puzzles, four playable characters – Wilbur, Nate, Ivo und Critter – and plenty of mad humour. The game is set to hit PC, Mac and Linux. Best of all; it’s totally DRM-free. KING Art is looking to release the game across five chapters, with each episode clocking in at around three to four hours. You can find more information through the link above. Are you keen to play The Book of Unwritten Tales 2? Let us know below.